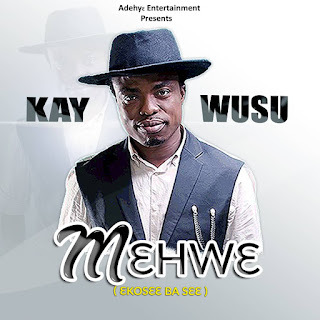 Highlife Singer Kay Wusu has today, Friday, February 8, 2019 released his new single titled 'M3hw3'. The first single from the Artiste has been necessitated to spice love affair between couples and every individual. 'M3hw3' is a high-life tune produced by Nakay Mix. Kay Wusu in his usual energetic style of singing, laces his lyrical ability on the song with catchy lyrics. The 'Afro-Centric' Highlife Musician is known for songs likes ''Oyerepa, Asore, Meko Te Asore among others.